We can't believe Cruft's starts tomorrow. Mummy always does lot of shopping at Crufts and with so much to see it can be difficult to know where to go first. So here our top ten brands to check out on this fun packed weekend. Natural Instinct - This is must in our house, Lottie has been on their raw food diet a year now and loving it. Their raw food diet for dogs and cats follows the motto "you are what you eat". Our wholesome and delicious meals are the no stress, no mess way to feed raw! DoggyTreat - are a family owned company based in Scotland who have over 25 years experience in the pet industry. Anco have been sourcing and manufacturing ethically approved, 100% natural, healthy, hypo-allergenic dog treats and food from across the UK and Europe since 2005. This is a company that is new to us, Lottie is particular looking forward to trying their Anco Roots. 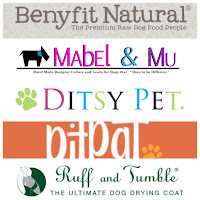 PitPat - This is a company we have had lots of connections with in the past and we can't wait to meet the team again, we reviewed their Pitpat last year after visiting Cruft's. PitPat the activity monitor for dogs. Allows you to discover the secrets of your dog’s day through a free app that monitors time spent walking, running, playing and resting. It sets goals, tracks progress and calculates calories burnt so you can make sure your dog is getting the exercise it needs. Grippy Leads - We just couldn't attend Cruft's without ours! It’s the lead with the loops! Grippy leads are unlike other dog leads on the market.Featuring an innovative multi-loop design, this unique lead allows you to walk your dog at varying distances and bring your furry friend to heel with ease and control. Designed and handmade in Cornwall, from cushioned webbing, the leads are colourful and comfortable for you and your pet. You can even add a matching collar. There are 8 colours to choose from, perfect for even the most pampered pooches! 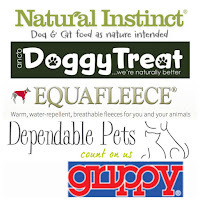 Dependable Pets - are passionate about great food, tasty treats & fabulous toys that your Dogs & Cats will love. This is another new brand to us, so we can't wait to see what products they have on offer. 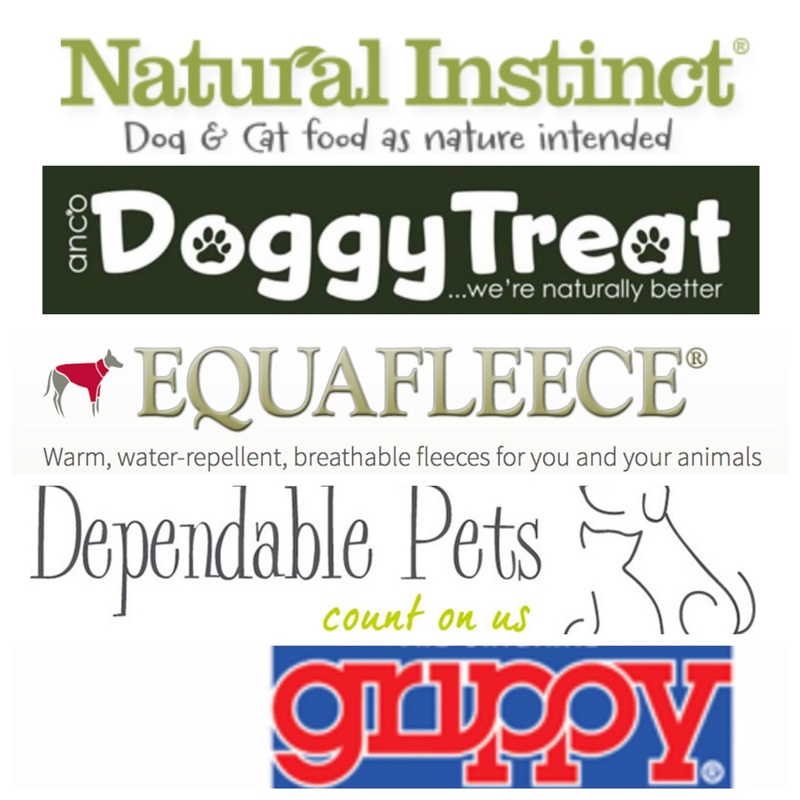 Equafleece - We only learnt about these quite recently so am hoping to pick our first one up at Cruft's. They offer warm, water-repellent, breathable fleeces for you and your animals. Ditsy Pet - A stunning brand of handmade pet collars & accessories, using unique fabrics and trims to create an individual product for your canine friends.No dog can have to many collar, right? We brought a few of their gorgeous collars last year and am hoping to pick up some this time. We can't wait to see their new designs. Ruff and Tumble - Drying Coats are modelled on horse blankets. They go on over the head and are a tailored to fit, with a cosy neck collar and a wide belly strap which fastens simply with Velcro. They’re top quality double thickness cotton towelling which makes the coat soft, absorbent and comfortable for the dog to wear. Perfect for after wet walks and bath times Ruff and Tumble Drying Coats are also fantastically warm for the cold winter days and can also be soaked in cold water to create a cooling coat for hot summer days! All coats are machine washable. We picked up one of these last year, but two is always better than one! Mabel & Mu - designs and make the most gorgeous dog collars, leads and accessories. We haven't owned one of their collars yet, but Im sure we will fall in love as soon as mummy claps her eyes on them! Benefit Natural - We're passionate about the health of working dogs and the benefits it can bring to your dog. That’s why there’s nothing artificial in our complete dog food solution, it's completely nutritionally balanced from puppy to adult. Yet again this is another newbie brand to us, but we look forward to seeing what they have on offer. 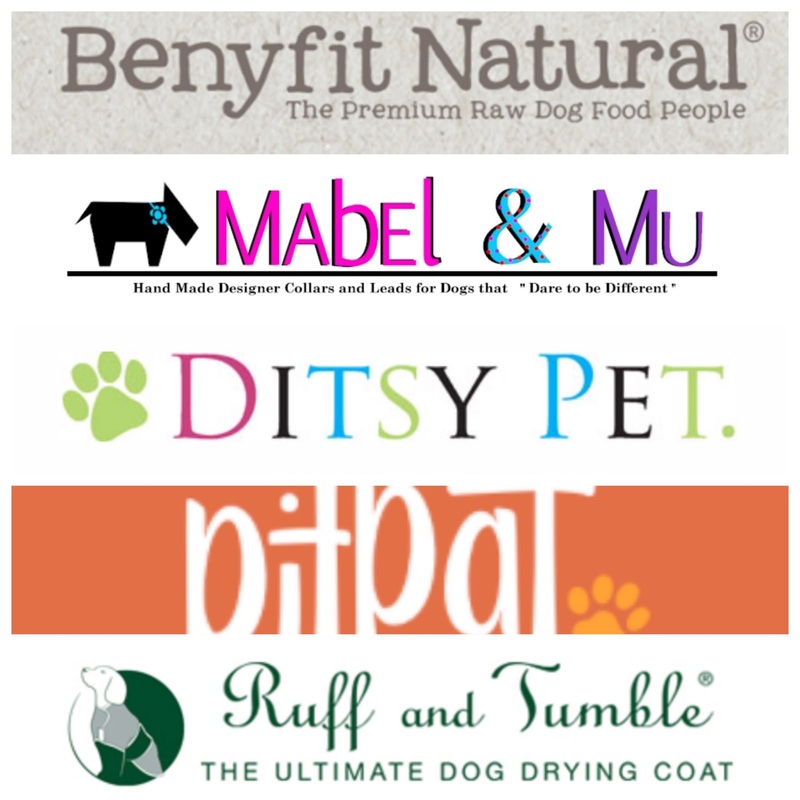 These are just a few (I mean a few) brands we will be visiting on Saturday the 11th when we are at Cruft's the biggest dog show! We would love to know what brands are on your radar.